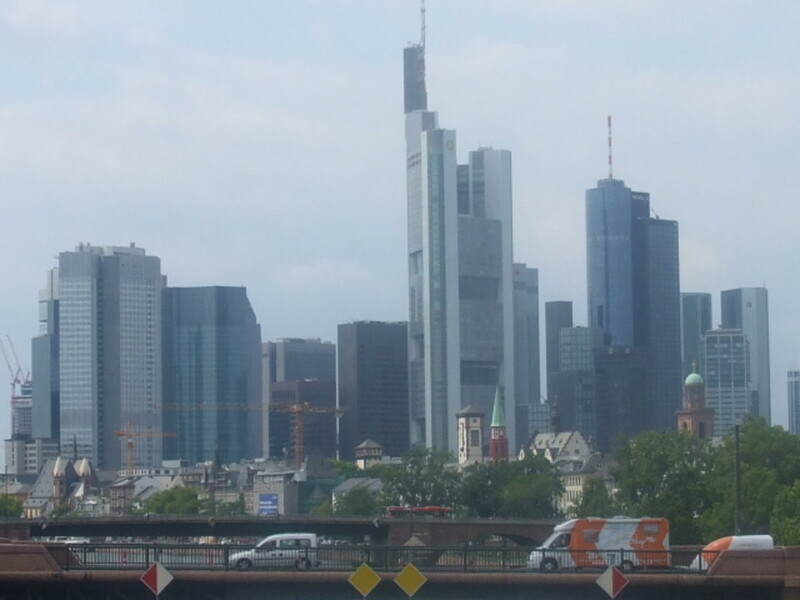 Home of Mercedes Benz, breath taking views and fascinating architecture. Most people, when they want a list of activities to do in a foreign country, want to visit places or do things that are popular for tourist. This list includes some of these popular destinations and a few activities that some people might not ever think about doing. 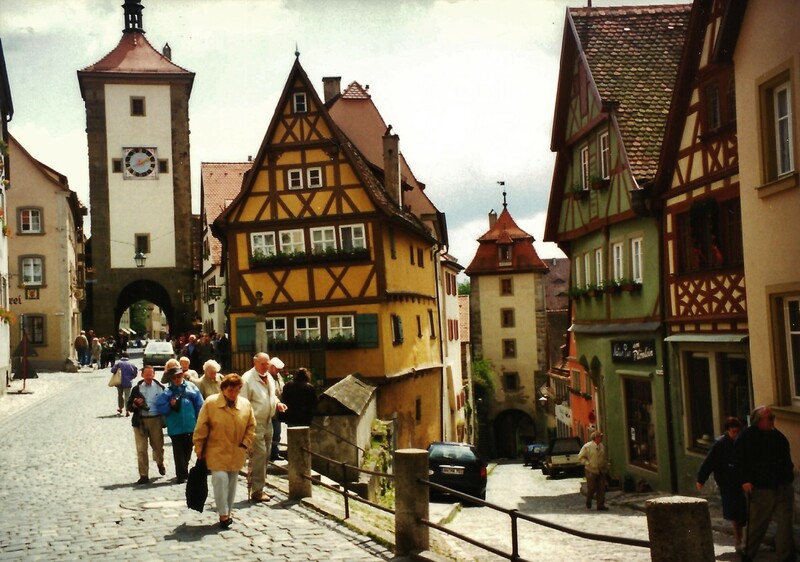 Some of the suggest made here are for people who want to really taste the culture or experience a little of Germany. Rewe (pronounced Ray - vay) is one of the nicest grocery stores in Germany. If you have a craving for peanut butter, this store sells this rare and much loved American product. Have you seen or read The Lion, The Witch and the Woredrobe? This store sold Turkish Delight in flavors such as rose, caramel, and pistacheo. This store is one the most international grocery stores in Germany. If you are looking for a snack, this is one of places to go. Go rent a shopping cart for an Euro and get the Euro back at the end of the trip. Just be careful because all of the wheels pivot. You can go to a country and see the famous cites, but you'll never really experience it. This might seem like a strange thing to do but for experience itself, it is worth it. 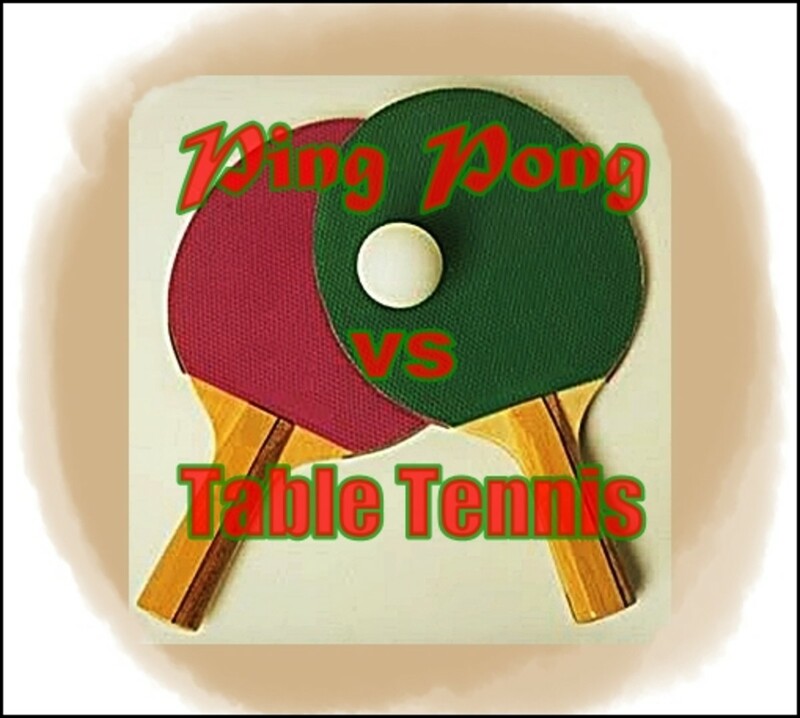 Don't forget to pack up your ping pong ball and your ping pong paddle. There are plenty of chances to play the game. Around the city there are public outdoor places to play a game of ping pong. 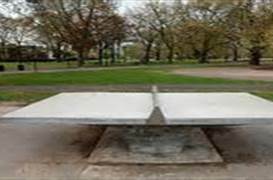 The tables are made of concrete and the nets are made of some well protected material. 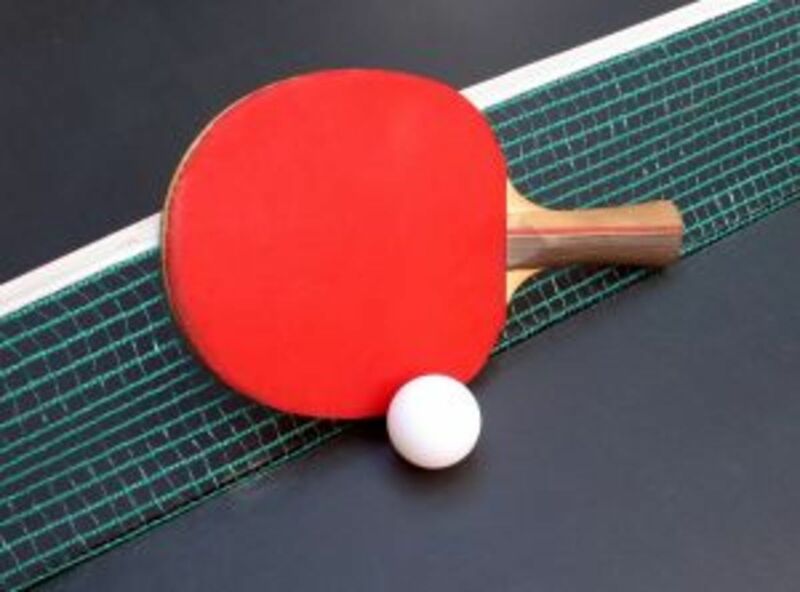 Ping Pong is very popular in Germany along with soccer, however, it is free to play ping pong just as long as you bring your own. Visit as many bakeries as you can. There seems to be at least one bakery on every block like there's a 7 Eleven around every corner. 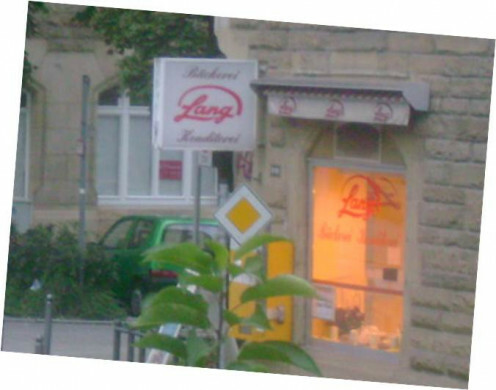 Some of these bakeries are Lang, Kamps, and Backzeit. There are many types of breads. 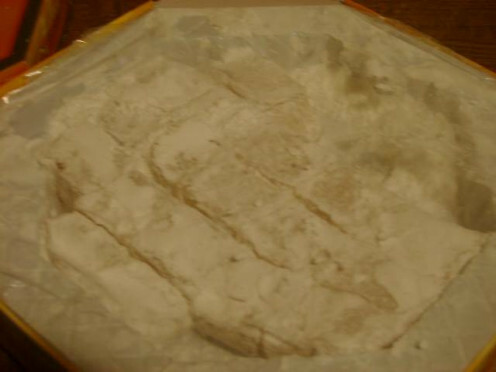 Some of the bread are plain. Some of the bread has cheese sprinkled on top. And some the breads are desert. My advice is buy a chocolate croissant and Quarktaschen. A Quarktaschen is a Stuttgart native treat. I hate to compare it to a cheese danish, but I don't how else to describe it. Just try it. 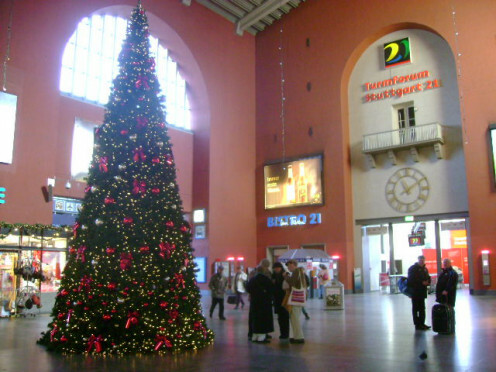 I've spent a lot of time at the Hauptbahnhof. There is not much to do there except wait for trains and go exploring. I couldn't help but feel like I was in Harry Potter with the misfortune of not seeing platforms 9 and 3/4. Instead, I saw a stand where I could have gotten scalples and dentist equipment. If you are looking for something to eat. This trains station is very Americanized with a McDonald's. If American is something you want getting away from while in Germany, there is also Seafood place where they have chewy calamari and a place to get a very delicious Doener Kebap. This pita like sandwich is a must eat and is a better version of a Greek Gyro. It's meat and sauces tingle your taste buds. If you need to mail off any letter or package, there is a post office just upstairs. This German post office as well as others like it are much more than your average US post office. If you need stationary, they have it plus toys and other nick knacks. Looking for something to read? There's also a place that sells news papers or other reading materials. Plus there are more shopping experiences and vendors. 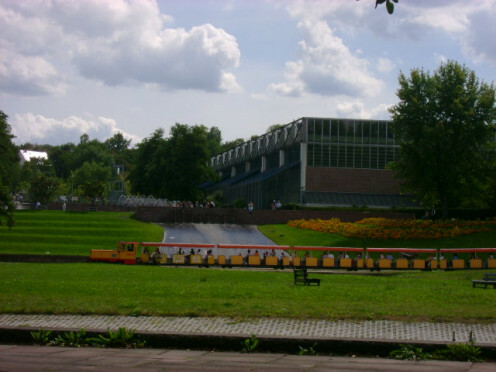 This place acts as a hub for places like Koenigstrasse (a large outdoor mall) and Schlossgarten (a very large park that leads into another park and a zoo). 4) Seilbahn, which leads to one of Stuttgart's most fascinating graveyards. There's nothing exciting about the S - Bahn or the U - Bahn expect it's a fun way to view the city and surrounding areas, but only if you're above ground. You get to experience both. Plus, if you ever stand in the space between the adjoining two cars, there's surfing fun. 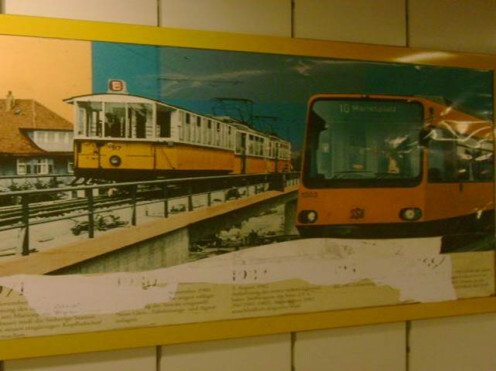 However, both the Zahnradbahn and Seilbahn are unique and are the only two in Stuttgart. 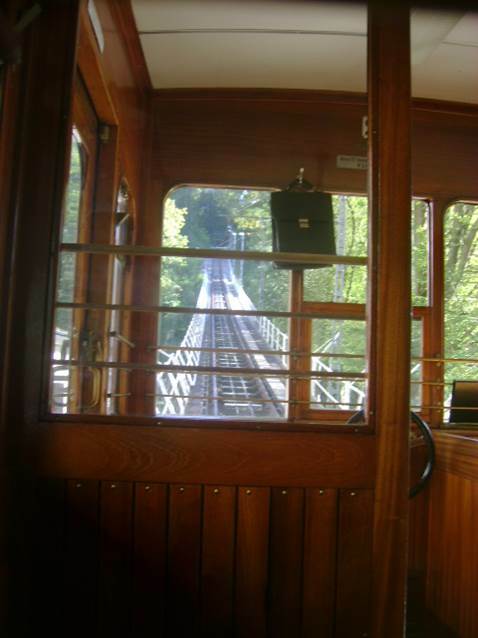 The Zahn in Zahnradbahn is derived from "teeth." It is called this because one of the rail tracks look like teeth. It helps in moving the car uphill. The Seil of Seilbahn means "rope." It is different from the Zahnradbahn because it uses cable to go uphill instead. This Bahn looks so old and feels like it moves so slow. There's but one destination for this cable car, the Stuttgart Degerloch forest cemetery. As far as graveyards goes, this is one the most unique and exquisite ones that I have ever seen. There's no words to describe it. 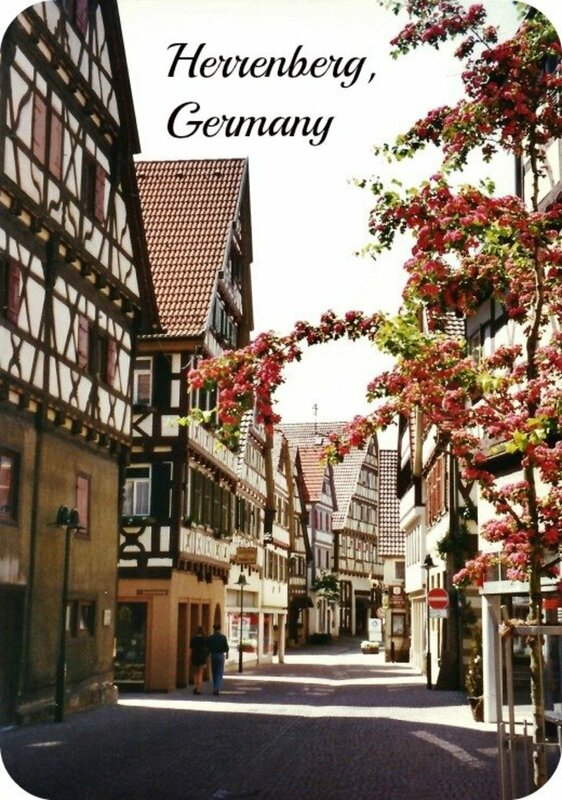 For the family history lover, this might be a place to visit if you have German ancestry. This Bahn is located in Heslach and not far from the Zahnradbahn. 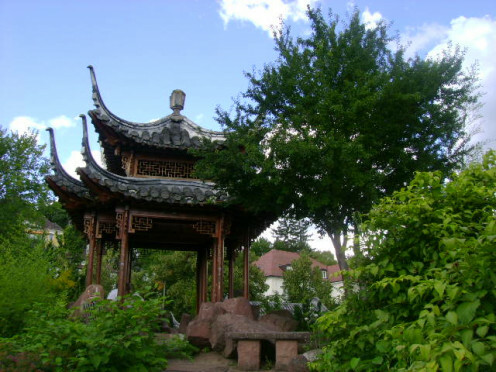 Located on Birkenwaldstrasse in Stuttgart, Germany, the Chinese Garden is a very quiet little place to go. It is not a park in any way, shape or form because it is indeed a garden. The atmosphere is calm and serene. The place is so nice to just take a minute, sit down and meditate. Some of the calming influence comes from a small man made pond filled with Koi fish. Over the pond is a small bridge that leads to a small Chinese style building that resides in the Garden as well. Another factor of this peacefulness place is the view of the city. A makes a person feel small in the big scheme of life. This small piece of Nirnavna is just one of the three most impressive ways of viewing Stuttgart. If you take a bus from the Chinese Garden on Birkenwaldstrasse upwards, you eventually want to jump off at a place called Kellesberg Messe. There is never a dull moment at this beautiful place because it is so full of life. This is a place where children can have fun. They play on the playground equipment, visit flamingos and their friends, ride a small train throughout the park, and get wet with terrific moving fountains. For adults, there are also a number of walking trails, plus places where people can go and relax under willow trees. If you are hungry, there are a number of small cafes located throughout the park. One is located near spot that is preserved for many varieties of flowers. There's a tower one can climb up to get a better view and a it makes for a good photo option. This tower provides one of the three places to view Stuttgart in all it's glory. In English, the term Fernstehturm is means "TV tower." However, this tower is more than just a tower. It is one of the three places that provides an impressive view of the city of Stuttgart. This tower is located on Hoher Bosper Hill. The structure itself is reminisent of Seattle's Space Needle. At the top of the tower are four floors and two observation decks. The third and fourth floors are open to the public. On the third floor is a giant theater and a restaurant resides on the fourth. As for the observation decks, there's more space to move around on the bottom deck. 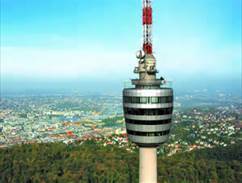 I believe that this tower is the tallest point to take in the view of Stuttgart and beyond. It cost a couple of Euros to go up, but it is worth it. On the ground level, you can buy souveigners and for the kiddies, there is playground just outside this colassol structure. There are a number of churches to see in Stuttgart. One of the famous churches is Johanneskirche (Church of John). This church is located by a water resevoir called Feuersee (fire water). It looks Gothic with it's flying buttresses. This church was built in the mid 1800s. Besides this church, there is Stiftskirche (Church of Pen). 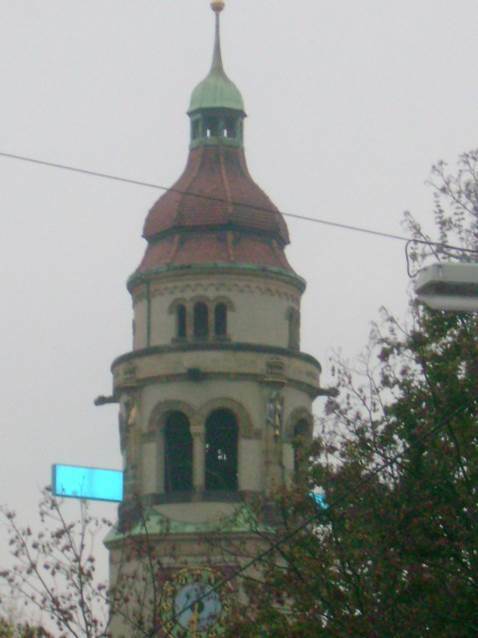 This church is located near Koenigstrasse and right by alte Schloss (a castle made museum). During the World War II, this building suffered much damage, but has now been restored to it's natural beauty with two spires. Another fun church is Markuskirche (Church of Mark) located near Marienplatz. There is what might be considered a stereotypical graveyard near this church. The last time I saw this church there was this blue electrical thing in the steeple that lit up at night. Whether or not it's still there, I don't know. There are many more besides these churches to go and see. One of the most fascinating things about Stuttgart is the fact that the public buses were manufactured by the Mercedes Benz company. Talking about riding in style for the little people. 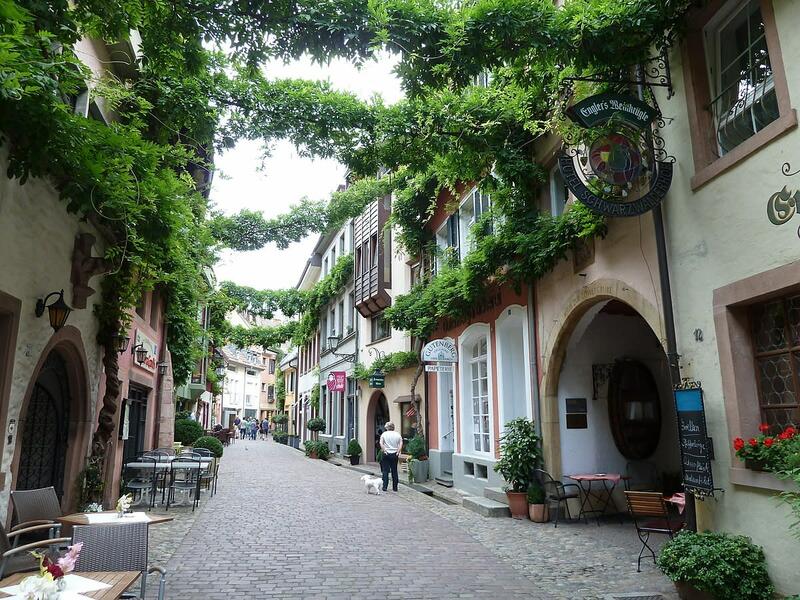 This company also contributed to a soccer stadium in Bad Cannstatt, a neighboring district of Stuttgart and a place overgrown with impressive vineyards. 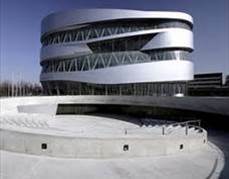 However, in Stuttgart there is a Mercedes Benz museum. This museum is the home of many makes and models that were developed by this car company throughout the years. There is a small fee into getting in, but if you love a good Mercedes, it is well worth the price. This museum is fairly new since it was opened in 2006 in replacement of the old one. The construction of this museum would have made Frank Lloyd Wright shed a tear of delight with it's double helix construction. Very nice places that you choose. For someone who wants to visit this area in a vintage car we have also an good idea for you.